Stone Brewing today announced that co-founder Greg Koch is stepping down as CEO of the company and transitioning into a new role as executive chairman, a position that will remove him from day-to-day operations. Stone, the nation’s ninth largest craft brewery by volume, is now searching for a new CEO to take over for Koch, however, it offered no timeline as to when the position will be filled. 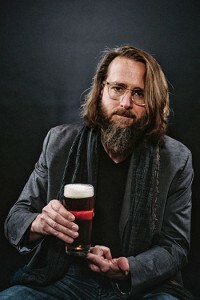 The company said Koch would remain closely involved in the development of its two new breweries in Berlin, Germany and Richmond, Va.
Koch will continue working closely to complete the development of Stone Brewing Berlin and oversee the company’s expansion into Richmond, VA. There is no set timeframe or expected hire date for an incoming CEO. The priority is to find an individual with the necessary skill set, passion for Stone and all things craft beer, and one who can support the efforts to provide high-quality craft beer worldwide.